As a Canadian the struggle of the Vancouver Whitecaps is probably more personal than someone who follows MLS from elsewhere. After Toronto FC became the joke of the league mainly through the miss-management of ownership, the Whitecaps expansion to MLS was a huge hope for Canadian soccer. Because of their past NASL, CPL and USL success, as well the Vancouver region being known as a Canadian hotbed for soccer, expectations were high. Whitecaps president Bobby Lenarduzzi might also be the biggest name in Canadian Soccer for his success with a number of Vancouver soccer teams and the Canadian National Team. In preparation for the beginning of the MLS Playoffs on Wednesday, we're rolling out projections for each subsequent round. Throughout the playoffs, you can find them under the "Projections" tab in the upper right. First, let's take a look at what our simulation spit out, and then I'll explain what the simulation was thinking. The simulation is designed to follow the new MLS Playoffs format. Two-legged series, which occur in the conference semifinals and finals, are modeled using simulated scores from a bivariate Poisson model. This allows us to both precisely project outcomes, and to update the probabilities after game one of such a series. 50,000 iterations of the MLS Cup Playoffs are run, and the outcomes from those iterations are summarized to produce the projections you see above. It should come as no surprise that the Red Bulls are far and away the most probable team to win the Cup. They have dominated our power rankings for weeks, and their 32.6% chances at winning the cup line up very closely with what we gave 2014's favorite LA Galaxy (33.4%) and 2013's favorite Sporting KC (30.2%). New York led the league in both actual goals scored and expected goals scored, and the model has found that goal scoring is more predictive of future success than goal allowing. This is why they have topped our power rankings for so long. It should also come as no surprise that D.C. United received our worst probability of winning the Cup. Despite home-field advantage, DCU is only given 50.4% chances of beating New England in their play-in game. 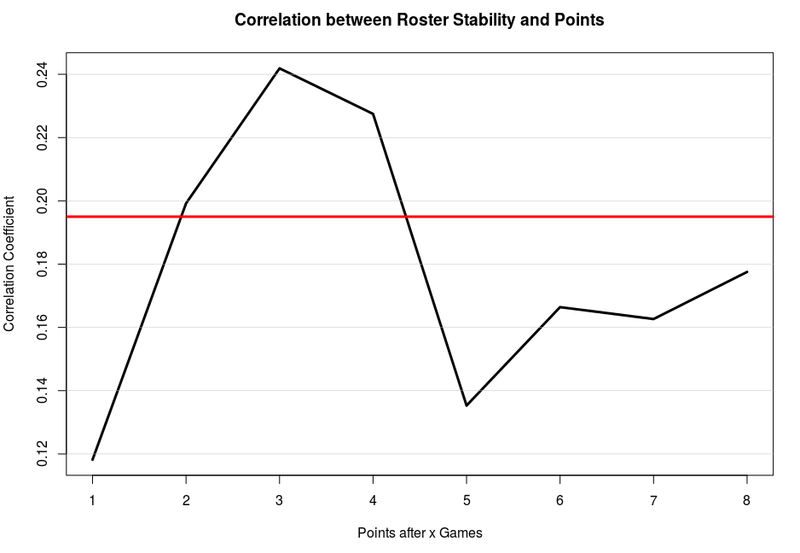 DCU's expected goal differential is bad, and their actual goal differential is surprisingly bad. They are the only playoff team with a negative xGD, and the only playoff team with a negative GD. In other words, even if you don't subscribe to how xGoals handles DCU, actual goals doesn't like them either. I think seeing Columbus and Montreal with the next-best chances of winning the Cup is a bit confusing at first, but it actually makes perfect sense. If either of those teams has to face NYRB, they will do so in a two-legged series where home-field advantage is largely stripped away. On the other coast, whichever Western Conference team makes the final has a good chance (44.5%) of playing in New York in that one-game championship. Essentially, when and how you play New York largely determines your probability of winning the Cup. Speaking of home-field advantage, we account for it with two processes. First, the model knows who's playing at home, and adjusts outputs accordingly. That has been true with our Playoff Push all season. Second, the two-legged series are set up such that if teams tie on goals, and on away goals, they will play two 15-minute overtime periods followed by penalty kicks if necessary. Additionally, that will only happen on the higher seed's turf. Our simulation determines if such an aggregate-tie occurs, and then indirectly gives the home team (also the higher-seeded team) a slight advantage in extra time. We regress the home team's 90-minute probability of winning, conditional on not-tying, halfway back toward 50%. This is an approximation to what FiveThirtyEight has done with extra time, where the better teams are still given advantages in what is not a 50-50 outcome. Anyway, enjoy the playoffs! And check back for updated projections.